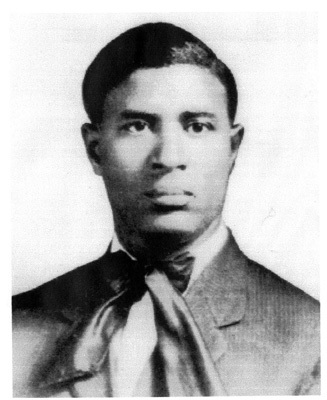 Garrett Augustus Morgan was born on March 4, 1877, in Paris, Kentucky. He attended elementary school in Kentucky, but he spent most of his time working on his parents’ farm. His parents were former slaves. As a teenager, Morgan moved to Cincinnati, Ohio, where he hired a personal tutor and worked different jobs to support himself. In 1895, Morgan moved to Cleveland, Ohio. He took a position as a sewing-machine repairman. Twelve years later, Morgan had accumulated enough money to begin his own sewing machine-repair business. Over the next several years, Morgan expanded his business interests to include a tailoring establishment, a personal-grooming products company, and also a newspaper, the Cleveland Call. By 1920, Morgan had become a wealthy man with dozens of workers in his employ. Morgan was always interested in inventions. His tailoring business was equipped with machines that he personally designed. During the 1910s and 1920s, Morgan continued to invent new items. Most of these items were to improve safety on the streets and in the workplace. Morgan was most famous for patenting the first traffic signal in the United States. Morgan, himself an automobile owner, witnessed a crash between a car and a buggy. This event supposedly convinced the inventor to create the stoplight. On November 20, 1923, Morgan received his patent. His traffic signal was mounted on a T-shaped pole. It had three different types of signals stop, go, and stop in all directions. The stop in all directions signal was to allow pedestrians to cross streets safely. Morgan eventually patented this device in Canada and Great Britain as well. He sold his patent to General Electric Corporation for forty thousand dollars. Morgan also invented numerous other products. In 1916, he patented his version of the gas mask. Morgan demonstrated his superior design when a group of miners were trapped in a shaft under Lake Erie. He immediately received orders for his product from fire departments and mine owners across the United States and Europe. The United States Army also utilized a slightly redesigned Morgan gas mask during World War I. In addition to the traffic signal and the gas mask, Morgan also invented a zigzag stitching device for manually-operated sewing machines.